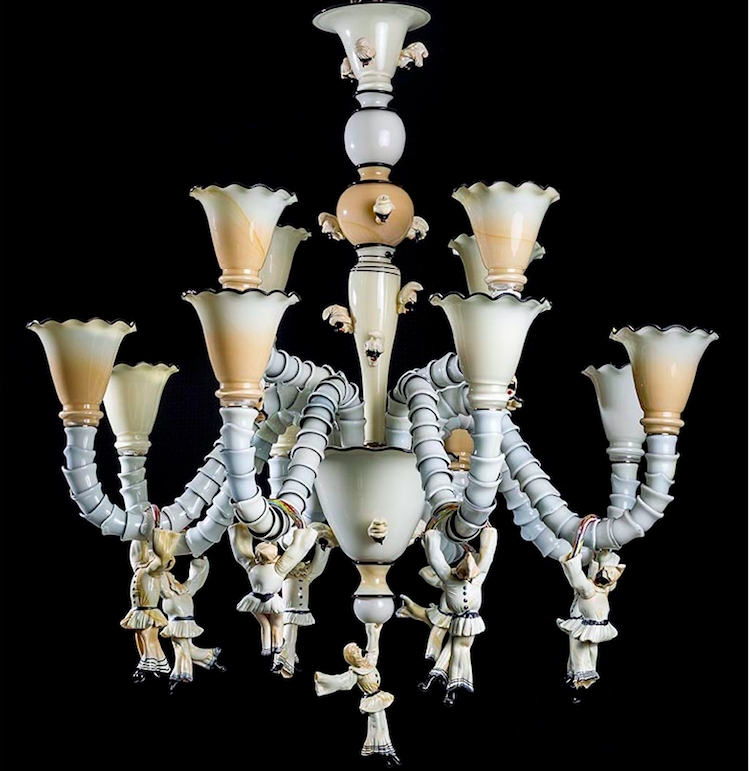 Pulcinella Chandelier. Made of mouth-blown glass, modern Rezonico style and solid glass figures, opal colour with black refinements. 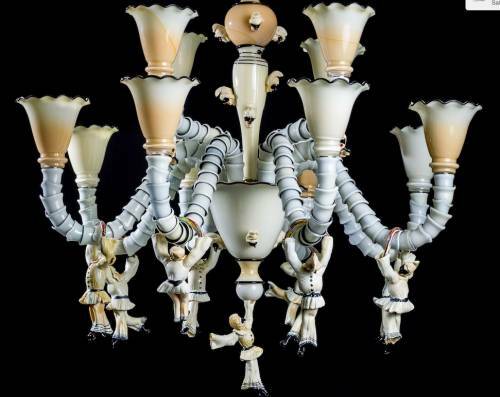 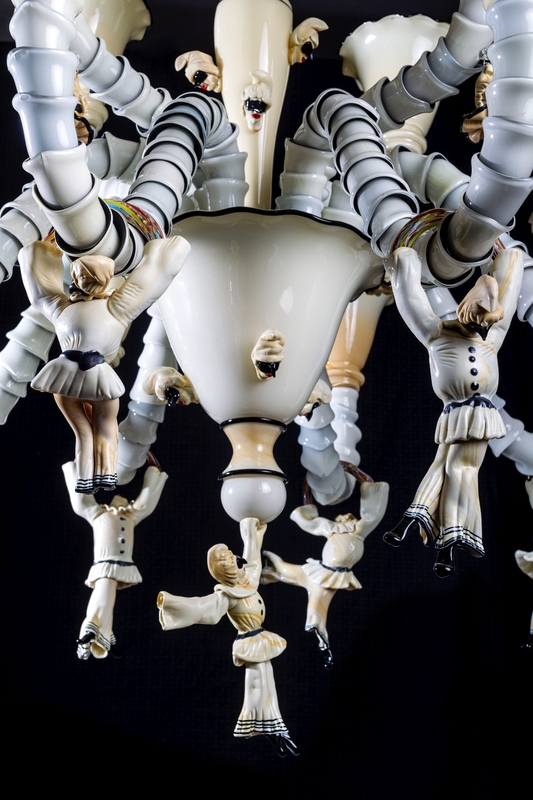 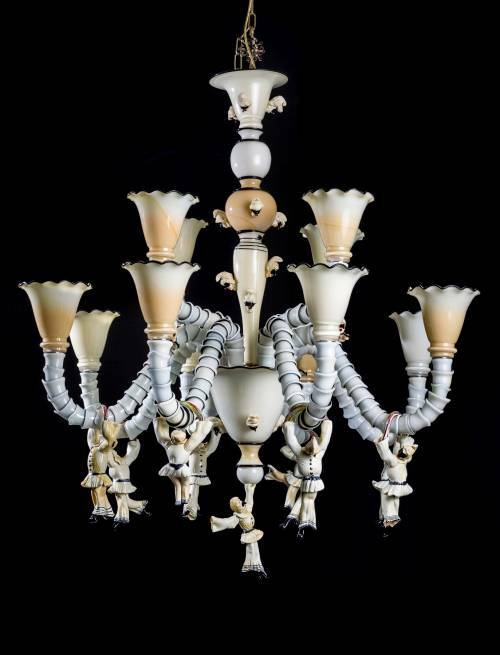 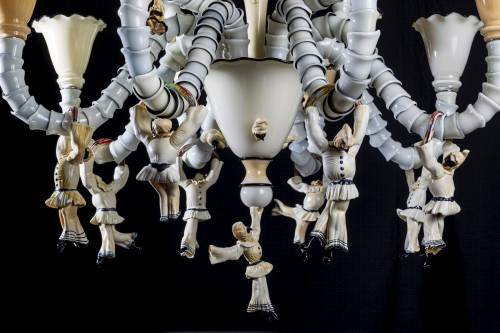 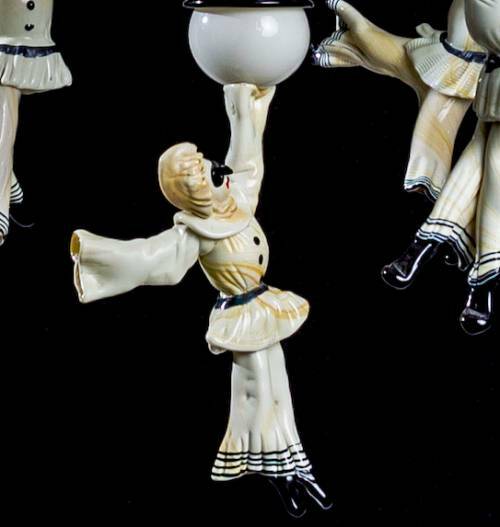 Pulcinella chandelier - Giancarlo Signoretto: Pulcinella Chandelier. 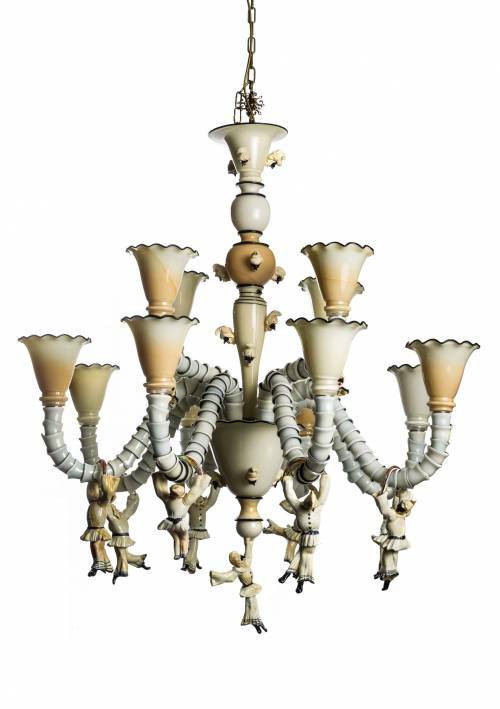 Made of mouth-blown glass, modern Rezonico style and solid glass figures, opal colour with black refinements. 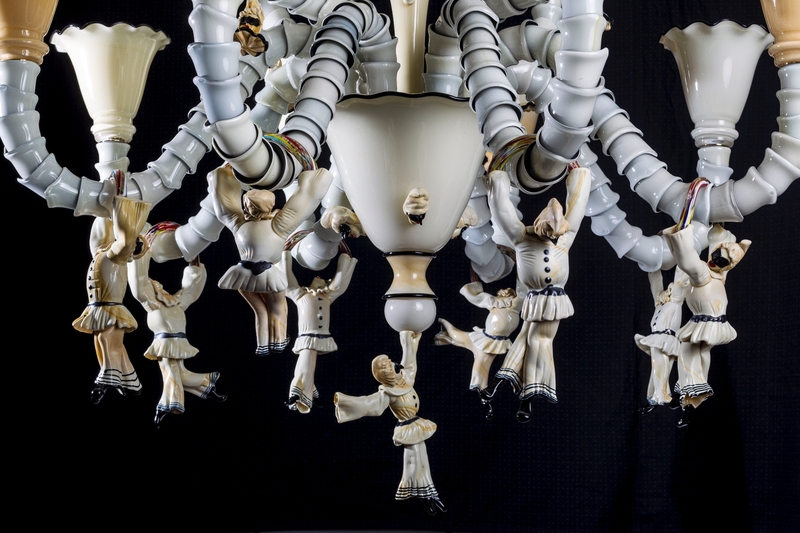 Size: 39x(h)39 inches.